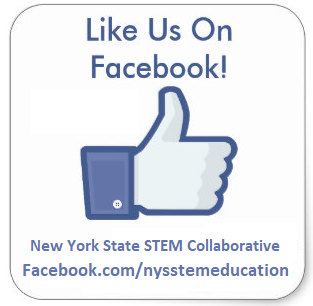 Other STEM Organizations – NYS STEM Education Collaborative, Inc.
STEMteachersNYC is dedicated to interchange and interaction among teachers of various STEM (Science, Technology, Engineering, and Mathematics) disciplines. Our general purpose is to cultivate excellence in STEM teaching and to promote learning, self-confidence and success for our students. The International Technology and Engineering Educators Association (ITEEA) is the professional organization for technology, innovation, design, and engineering educators. Our mission is to promote technological literacy for all by supporting the teaching of technology and engineering and promoting the professionalism of those engaged in these pursuits. ITEEA strengthens the profession through leadership, professional development, membership services, publications, and classroom activities. Founded in 1920, the National Council of Teachers of Mathematics (NCTM) is the world’s largest mathematics education organization, with 60,000 members and more than 230 Affiliates throughout the United States and Canada. SECME was established in 1975 as the Southeastern Consortium for Minorities in Engineering by the Engineering Deans at six southeastern universities: University of Alabama, University of Florida, Georgia Institute of Technology, University of South Carolina, University of Tennessee and Tuskegee Institute (now Tuskegee University). In 1997, the name was changed to SECME Inc. to better represent the territories we serve today, which extend to schools, universities, science- and technology-based business and industry, and public and private agencies in 16 states, the District of Columbia, and Grand Bahama. Since the vision of our founding deans, many additional universities have partnered with SECME to extend our mission. The Lemelson-MIT Program celebrates outstanding inventors and inspires young people to pursue creative lives and careers through invention. We recognize emerging collegiate inventors whose inventions could impact important sectors of the global economy and honor mid-career inventors with a prestigious cash prize. We also encourage youth to invent and develop their hands-on skills in Science, Technology, Engineering and Math (STEM) through two national grants initiatives for grades 7-12. TIES, The Teaching Institute for Excellence in STEM education is the country’s foremost innovator in STEM School design, STEM curriculum, and STEM instructional support to schools. 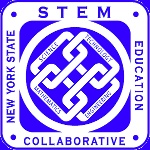 TIES brings STEM services to districts, states and the federal government. TIES design teams work to create and build the finest STEM schools throughout the country. TIES recognizes the importance of school design and STEM professional development for all teachers as the basis to improve and advance the character of science, technology, engineering and mathematics teaching for students regardless of grade level.